Gear6 provides scalable Memcached solutions, enabling high-growth web sites to deliver and scale dynamic applications and content. By focusing on the emerging need for a dedicated web caching tier, Gear6 solutions dramatically improve the scalability of web applications and databases, improving quality of service and reducing infrastructure cost. Gear6’s flagship offering is Gear6 Web Cache, a Memcached protocol-compliant solution that enables web site developers and operators to scale web services and applications, to save money, rack space, power and time, to protect users and sites from failures and traffic spikes, and to manage all aspects of caching operations. Violin Memory provides a scalable flash memory array that delivers unprecedented sustainability and spike-free latency at price points challenging HDD performance storage. Violin Memory’s solutions are designed for the company who is looking to accelerate their business critical applications and virtualize their Data Center storage. SASI had existing relationships with Gear6 through previous transactions. Gear6 was at an inflection point and engaged SASI to advise them on strategic options including M&A. 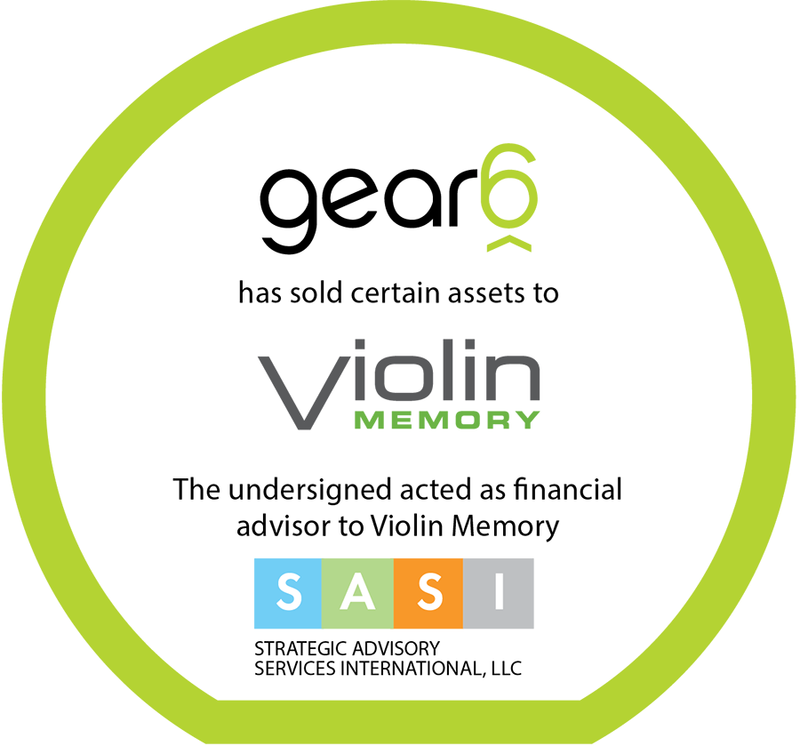 SASI identified, selected and approached a strategic set of acquirers who could leverage Gear6’s core solution set. Communicating the core value proposition and larger vision were critical to moving the process forward.